The cloud is changing the way software and IT service is delivered, but is it ready for the shop floor? I have a friend who is the epitome of “early adopter.” His home is filled with the coolest gadgets, including a robot vacuum cleaner and a 3D TV, purchased before the first review even hit the market. However, his back bedroom hides evidence of the dangers of early adopting. There’s a HD DVD sitting on one shelf. A dusty Palm Pilot hides in a drawer on top of a Blackberry Playbook. Sometimes the “coolest” gadgets hide fatal flaws, or just don’t work as promised. Unfortunately, manufacturers don’t have the luxury of fatal flaws, and can’t hide mistakes in a back room. No matter how tempting the latest innovation might be, it’s important to honestly assess the business impact before implementing, especially on the shop floor. Cloud computing, computing services hosted over the Internet, offers a number of advantages. For example, the service is often fully managed by the provider, eliminating many upkeep costs. Users pay for only the services they use. Updates and maintenance are handled remotely. The service can be quickly scaled when need arises. Changes and updates are made globally, not individually, ensuring speedy implementation. But, there are hazards hiding in the promise of cloud computing. A recent survey by Symantec found that 43% of the respondents using Cloud services admitted to data loss. Some data loss could be attributed to user error, including misplaced or misfiled information. For a shop floor, secure information and data management is necessary, especially in heavily regulated industries facing potential audits. Effective paperless manufacturing relies on secure data management. Because so many users are accessing the cloud, a number that significantly increases with public cloud services, data security is a challenge. More users increase the risk. Unauthorized users can (accidentally or otherwise) access data they shouldn’t. Adding a cloud-based ERP system to shop floor systems magnifies the risk, because you have even more users potentially accessing the manufacturing system. Potentially, secure data could be inadvertently moved to a less secure area of the cloud. The truth is, with any new technology it takes time to develop standards, and the operational standards for cloud computing are still a work in progress. Is your shop floor ready for the cloud? Photo by http://www.colourbox.com. With cloud services, you are entrusting data to another company, opening yourself to risk. Theft from your service provider is one potential risk. 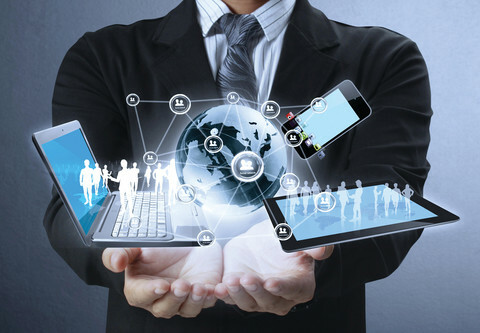 Inadvertent mistakes by employees of the service provider, such as unsecured apps on a work device connected to your data, is another potential risk. Consider the “neighborhood,” or server, where your data is stored. In a recent example, an FBI raid on a server used by cybercriminals led to several businesses losing data. They unknowingly shared a server with criminals, and during the investigation their data was lost. Finally, there is the question of who, ultimately, owns the data – you or the company providing the server the data is stored on? Assumptions over ownership and responsibility may not be clear at first, and can lead to significant problems in the future. Growing cloud use leads to another problem – failure of service availability. Recently, Gartner predicted that as more businesses move to the cloud, there will be an increased risk of “cascade” service failures. Businesses are connected on shared servers, and problems can quickly spread, leading to widespread service outages that would have been contained if computer services were localized. As more and more companies rely heavily on the cloud, this risk will grow, and since significant downtime is not an option for most shop floors, failure of service is a risk to operations you can’t control. A recent report from the Cloud Security Alliance (CSA) cited a survey of more than 200 enterprise executives concerned with mobile device security and data in the cloud. 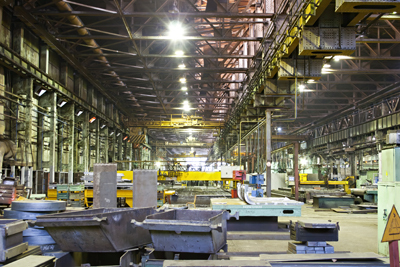 More and more industries are using mobile devices in business, including manufacturing. Mobile manufacturing holds tremendous advantages for the shop floor. But, as businesses adopt cloud services; unsecured mobile devices create unintentional “back doors” into secure data. Potentially, any mobile device could access your cloud, including devices you can’t control. Before implementing any change on your shop floor, assess the benefits and potential dangers. Photo by http://www.colourbox.com. But there are currently hazards to moving your shop floor data management to the cloud. Service providers and enterprise IT resources have not been able to provide the appropriate level of security, both in the cloud and among users. The cloud is an emerging technology, still struggling with growing pains, which may impact the ability of a provider to deliver the level of service, speed and accuracy necessary to provide paperless manufacturing for the modern, dynamic and constantly changing shop floor. But, cloud computing isn’t going the way of the HD DVD, and no one is predicting it will gather dust on a shelf any time soon. As service providers find better solutions and tools for enterprise cloud services, it will become a viable option for the shop floor. Have you ever considered preparing for the cloud with an internal cloud-based system to manage production data? A web-based paperless manufacturing solution hosted on an internal server is a cloud-based process control solution that, when there is an appropriate level of security and reliability, can be uploaded and served on the cloud. This is a step toward the future without experiencing any of the current risks in cloud computing. What experience have you had with moving your MES, paperless manufacturing or ERP services to the cloud? Are there benefits to adopting a “cloud” strategy for your shop floor we haven’t covered here? Speed and the ability to quickly make global changes to a system is a significant benefit we haven’t touched on. Are there challenges or hazards we missed? Let us know what your experience has been with the cloud. This entry was posted in Agile Manufacturing, Cloud, Cloud Computing, Lean Manufacturing, Manufacturing, Manufacturing Solutions, MES, Mobile Manufacturing, Paperless Manufacturing, Technology, Uncategorized and tagged cimx, Cloud, Cloud Computing, Collaboration, Collaborative Manufacturing, Collaborative Manufacturing Environment, IT, Lean Manufacturing, manufacturing best practices, manufacturing shop floor, manufacturing software, manufacturing technology, mes, MES system, Mobile Manufacturing, Mobility, paperless manufacturing, Real-Time Information, Real-Time Manufacturing, shop floor, shop floor optimization, shop floor technologies, shop floor technology, U.S. manufacturing on March 5, 2013 by Ed Deaton.